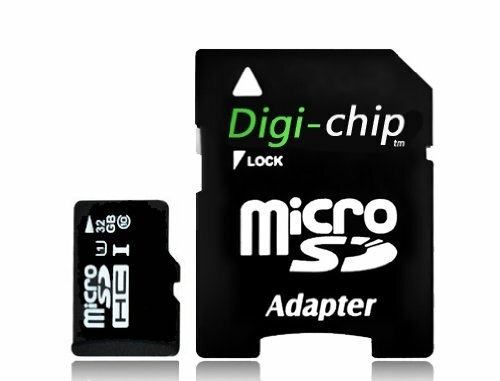 The Digi Chip 32GB Micro-SD Class 10 memory card is a high speed memory card made using the highest quality Samsung memory chips. These 32GB memory cards are ideal for the latest action cams including Apeman, DB Power, Akaso, Yuntab, Vemont, Vtin, Maifang, DBPower, Victur, Crosstour, Campark & Camkong Action Cams Cameras. They are also UHS-1 spec which stands for Ultra High Speed meaning they are some of the fastest mobile memory cards on the market. Our company Low Price Memory Ltd has been trading online for 8 years and has supplied over 1 million customers in that time with digital memory cards and usb flash drives. Digi-Chip is our own brand and we offer a lifetime warranty on all Digi-Chip products. If you have any questions about this product by Digi-Chip, contact us by completing and submitting the form below. If you are looking for a specif part number, please include it with your message.